Hazel Rose isn't your usual protagonist. She, and her friends, are in their mid-50's (or thereabout), and she has been married four times and widowed once. Her first ex-husband, Evan, is married to Carlene, the woman with whom Hazel started a book group for writers and aspiring writers. When during one of their meetings Carlene goes off on a rant and is later found dead of drinking poisoned tea, Hazel puts her sleuthing abilities to work to unmask the killer. The problem is, it is probably someone in the group, since they were the only ones who had access to Carlene's tea. But the question is, which one? As Hazel probes into the mystery she finds out more than she expected. Carlene, as she called herself, has gone by many other names in the past, and she certainly wasn't the type of person that everyone thinks she was. Soon it's apparent that everyone in the group had reason enough to dislike Carlene, but is any of it enough of a motive for murder? 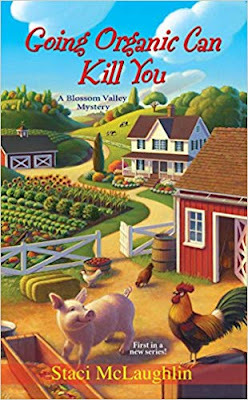 The plot of this book grew more twisted with every page. What at first seemed to be the usual plotline of a murder, and finding out the killer, it was so much more: Not only did nearly everyone who knew Carlene dislike her for one reason or another, we found out about Carlene's unsavory past and the ties she held to everyone in the group. What appeared to be upfront wasn't always so; there were enough secrets and plot twists to keep even the most seasoned reader interested. I, for one, had no problem keeping all the suspects straight, but then again, I have an analytical turn of mind, so it was pretty easy for me. But be aware that there are many potential suspects, as some may find this off-putting. Too many suspects and people might give up finishing the book. However, I believe you'll find it enjoyable if you persevere. This book follows the old adage, "Keep your friends close and your enemies closer." They couldn't be any closer than this. I hesitate to give away any more of the plot, allowing the reader to decipher the clues along the way as I did. When we finally find out the truth, it is quite believable, and highly enjoyable. 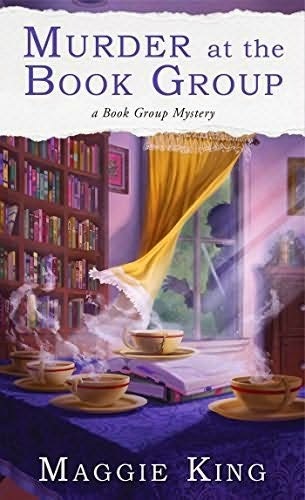 Ms. King has a wonderful voice in mysteries, and I for one, can't wait for the further adventures of Hazel and her friends. Recommended. Aspiring P.I. 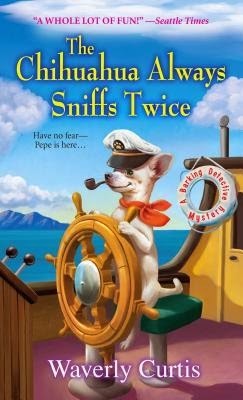 Geri Sullivan's new case has got her talking Chihuahua, Pepe, hot under the collar. Wealthy widow Lucille Carpenter left her entire fortune to her beloved dogs, and someone is trying to poison them. Anyone who would hurt a perro is lower than a cucaracha in Pepe's book. But when Geri and Pepe investigate, they discover that it's not just the coddled canines who are in danger. Now there are human targets too. Geri Sullivan is training to be a private investigator with Jimmy Gerrard, owner of Gerrard Investigations. Getting a call from him, she is told that she needs to see an attorney, Barrett Boswell, the estate trustee, who believes that someone is attempting to kill dogs. Yes, dogs. It seems that Lucille Carpenter left her vast fortune and her home to her dogs. So she heads out from Seattle to Port Townsend, to to see her newest client with her dog and partner, Pepe. Pepe is a chihuahua that talks. Literally. Except Geri is the only one that can hear him. And since he's also pretty good at flushing out answers, due to his heightened sense of smell, Geri really needs him to solve cases, and since this one regards dogs, Pepe will be even more helpful. 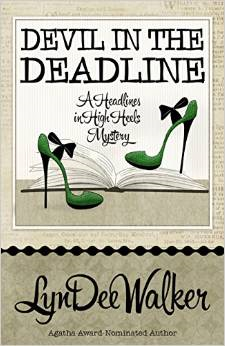 When she arrives at Boswell's office, she discovers someone dead behind his desk. At first she thinks it's her client, but when Boswell arrives shortly after her to disavow her of this notion, it turns out the dead man is another attorney, Bickerstaff, who had an office across the hall from Boswell. Finding out the man was poisoned, both Geri and Boswell think that the person or persons trying to kill the dogs have now gone on to attempting to kill humans as well. The fact that Mrs. Carpenter left her entire fortune to the dogs doesn't sit well with her children nor her stepchildren. So it seems that all four of them have reason enough to want the dogs dead; after all, with no dogs, then the fortune will probably revert to them. Geri has her work cut out for her with this case. I thought that this was a delightful mystery. It had enough twists and turns to keep me interested, and the author developed an inviting story with plenty of colorful characters to keep it moving along. I would have given it five stars, but it was completely annoying that Jimmy G kept talking about himself in the third person. It's almost as if he sees himself as a detachment - someone who isn't really who he is - but then again, maybe he does see himself as someone else. Also, Geri states early on that she's grateful no one else can hear Pepe since it makes her look smarter, but then she has conversations with her dog right in front of people so that kind of nulls that fact. If you have a talking dog, even one that's smart enough to help you with investigations, it's not going to make you look smarter by talking with (not to, but with) him with other people around. It's going to make you look crazy. Aside from this, the book was a fun read, and I look forward to the next in the series. Recommended. Guilia Falcone-Driscoll has just taken on her first impossible client: The Silk Tie Killer. He’s hired Driscoll Investigations to prove his innocence and they have only thirteen days to accomplish it. Talk about being tried in the media. Everyone in town is sure Roger Fitch strangled his girlfriend with one of his silk neckties. And then there’s the local TMZ wannabes—The Scoop—stalking Giulia and her client for sleazy sound bites. 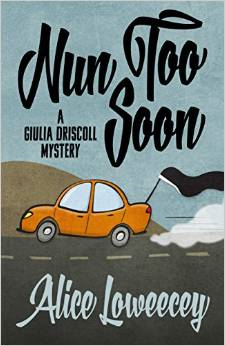 Guilia Falcone-Driscoll is an ex-nun who owns her own investigative agency, courtesy of her husband, a detective, who went back to the police force. Guilia has made the agency her own, and is very good at what she does. She is smart, methodical, and doesn't let personal feelings interfere with her job. Convinced that this case will not compromise another case in which Fitch may or may not be involved, which is embezzling from a company that also employed Miss Gil and several of the other suspects, Guilia believes it may actually help her find the culprits who have been doing the embezzling. While she has a top notch crew with her employees Zane and a very pregnant Sidney, along with a temp named Jane, she also employs the help of her husband with information when she needs it. During her investigation of the murder she must interview witnesses who bring insight into the relationship between Loriela and Fitch, and even though he has confessed to quite a bit of what the witnesses are telling her, there are extra bits and pieces that fall into place, which bring her closer to the truth of who killed Loriela and why. While watching Guilia put everything together we see a woman who not only pays attention to detail, but is able to collect all pieces of a puzzle and put them in the correct order. She is methodical in the way she does it, using her insight into human body language coupled with the concrete information she has gleaned while investigating. This is an altogether satisfying mystery; it keeps you interested and following the clues, trying to piece it together yourself before Guilia puts the final pieces in place. If I have any complaint, it would be that I would have liked to have known more of why Guilia decided to leave the convent. As it is, we are only given bits and pieces throughout the book. Recommended. Cookie Chanel owns a vintage clothing shop, It's Vintage, Y'All in Sugar Creek, Georgia. She also dresses the part, wearing something vintage nearly every day, and even drives a vintage car. So it follows suit that she would get the clothing for her shop by attending estate sales, and one morning while doing the same, she makes eye contact with a woman who appears agitated...and has a right to be. It is Charlotte Meadows, the woman whose sale she is attending. The problem is Charlotte is dead - murdered - and Cookie is the only one who can see her. When Charlotte discovers this, she begs Cookie to find out who killed her. Even though Cookie is reluctant to get involved, another murder soon occurs, and it is Cookie who finds the body. Worse, the dead person was also investigating Charlotte's murder. Worse yet, someone is posting threatening emails to Cookie's blog about her digging into the murder. 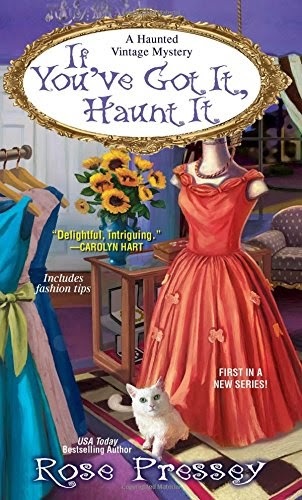 Yet here she finds herself, haunted by a spirit who refuses to leave until she finds out who did the deed....and if that isn't enough, a beautiful white cat wanders into her shop one day - and can apparently communicate through the Ouija Board and Tarot cards...and is psychic to boot. So here we have the beginning of a new paranormal series with a twist - apparently Cookie can't see all the dead (so far, and which I certainly hope continues on because I am getting bored with heroines who can communicate with every dead person they come across), but only Charlotte so far, and she is on a mission to find her killer. I enjoyed that tremendously, and the idea of a cat who is - albeit - watching out for Cookie as well by giving her hints as she goes along. I also enjoyed the fact that Cookie wasn't "raring to go," as it were, but only agreed because she really didn't have much of a choice. Two good things about this book, and that's a huge plus. What I thought was a bit strange was the fact that the police detective investigating the crime, Dylan Valentine, almost immediately was flirting with Cookie, even though he knew very little about her. I say this because he knew she was somehow involved with his case, even though she denied it and he didn't have any proof. Yet that should have made him slightly wary, at least until the next book. But he let her and everyone else know that he was interested. Personally I felt that for someone who was fairly new in town, unless he was desperate, which he didn't appear to be, he was moving rather fast. 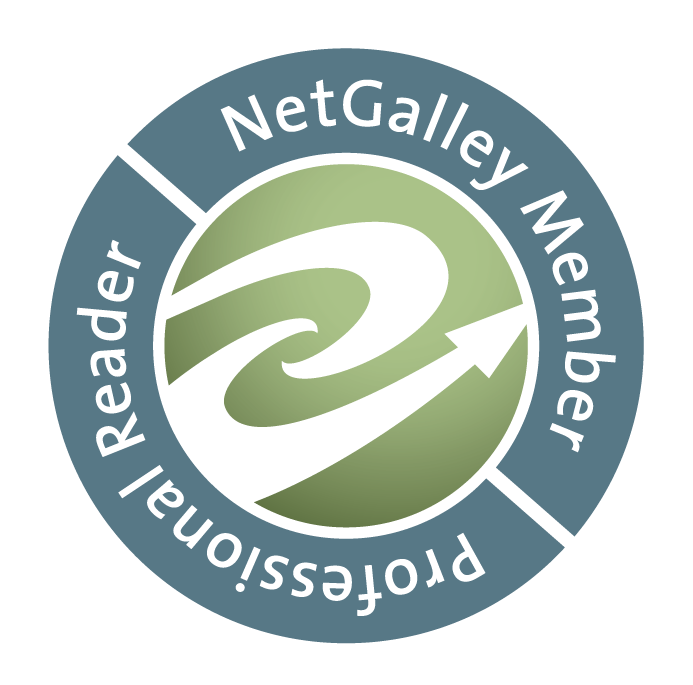 In the end, it's not deep reading or a suspenseful thriller. What it is, is a fun read, and I'm looking forward to the next in the series. I hope to see more of Charlotte in the next book, so I hope she sticks around with the cat. I even hope to see the progress of the romance of Dylan and Cookie (although not too fast of a progression). Recommended. Nichelle Clarke is a reporter who is different in that she has built up relationships with the police and witnesses because she is honest and has integrity. So, when a mutilated body is found by the police, they call her to the crime scene in the hope that she can help in the investigation, the premise being that people who will not talk to the police will talk to her. So begins the investigation into the brutal murder. It isn't long before Nichelle discovers that this wasn't random, and is somehow connected to a megachurch. In the course of the investigations she asks help from her ex-boyfriend, Kyle Miller, who also happens to be an ATF agent. Complicating the matter further is the fact that her new wannabe boyfriend is Joey, who probably has ties to the Mafia. While Kyle wants to rekindle his relationship, Nichelle only has eyes for Joey, who somehow is managing to keep track of her actions and attempting to keep her safe. Add to the mix a blogger who not only seems to know everything Nichelle knows, but more, and the blogger is putting it out to the public. The church, it seems, is sort of a cross between a cult and a religious compound (along the lines of any clothes that don't hang on you like burlap give men lustful thoughts, which always seem to favor the men, regardless of what second-class citizens women might want). When Nichelle keeps digging into the case, she not only puts her own life in danger, but others. Although at the end there weren't a lot of surprises, when the answers are all revealed, they come together in a nice little package that is wrapped up neatly for the reader. Even so, it leaves questions for Nichelle, which, I am sure, will be carried into the next book in this series. Recommended. I received a free copy from the publisher in exchange for an honest review but this in no way influenced my review. This book will be published January, 2015. Avoiding the M-word turns out to be the least of Kate's problems when a wedding guest is found floating face-down in the resort's hot tub, shortly after a loud, public (and somewhat embarrassing) fight with Kate. 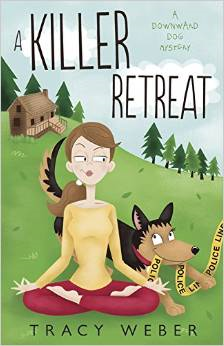 The police pick Kate as their number-one suspect, so she's forced to team up with boyfriend Michael, best friend Rene, and German shepherd sidekick Bella to find the real killer. But they'll have to solve the murder before the police arrest Kate, or her next gig may last a lifetime--behind bars. Kate and her boyfriend Michael have decided to take a vacation - well, a vacation for him, but a working one for her. She has taken a temporary job at a Elysian Springs resort as a yoga instructor for wedding guests. When they arrive, they find that their 'beautiful cabin' is quite a bit more rustic than described - it needs a lot of work, actually. Kate also finds that a woman she saw at the ferry landing is at the resort, and just as nasty as she was when she first encountered her. When the woman (Monica) is found murdered (and no spoiler here, because we all know who is going to get murdered pretty early on in most mysteries), Kate is not only the one to discover the body, she is also the main suspect. Wanting to stay out of the investigation she is nevertheless drawn in when the woman who hired her, Emmy, asks her to help because she figures as the yoga instructor she can ask questions the police can't. Reluctantly, Kate agrees. Along with this, she is worried about the health of her dog Bella; her friend Rene shows up with her husband Sam and they aren't speaking because Rene won't tell anyone what is wrong and why she is sick; and Kate is sure Michael is going to ask her to marry him and she is avoiding the subject as long as she can. I gave this book four stars because the mystery was pretty good. There is no dearth of suspects, and any one of them had reason to hate and kill Monica. She destroyed Emmy's mother's marriage; she is making life hell for her husband; and she is doing her best to ruin Emmy and Josh's wedding, among other things. Almost everyone who came in contact with her realized how toxic she was. So I had a nice time sifting through all the potential suspects. The loss of one star was due to the fact that a) anyone could figure out pretty quick what was wrong with Rene but her friends and husband are obviously slow on the uptake; b) instead of facing Michael and just talking things out Kate appeared to push him away (even though he hung on for some reason) by running off every time he got 'that look'. She's thirty-two and can't have a rational discussion about her fear of marriage? and c) the talk about yoga was slightly overkill. Unless you're extremely interested in yoga and its poses, there are sections of this book that are boring. I knew going in that it was about a yoga instructor, I just didn't know I'd actually be involved in taking her class. It's sort of like reading a culinary mystery and the baker walked me through step-by-step in making a cake. It's nice to hear the description of the cake, but I don't need to know how much sugar was added, how much flour, etc. It gets boring pretty fast. But, as I said, regardless of this, the mystery was good, and that's why we read the book. Recommended. I was given a free copy in exchange for an honest review but this in no way influenced my decision. This book will be published in January 2015.